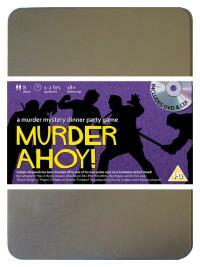 You've been invited to play the role of LAN DO HOI in Murder Ahoy. You are invited to a swashbuckling murder mystery set in the tropical waters of the Caribbean! Captain Mugwash and his pirate crew are shipwrecked on a desert island where they find a buried treasure chest. But during a drunken celebration on the beach the Captain is discovered slumped over the chest, murdered! Please join us to find out who buried the ol’ Sea Monkey! First Mate (his bright pirate clothes make people wish he’d stayed in the closet!) Costume suggestion : If the colours clash horribly, you‟ll wear it! Your pink shirt and yellow knee length britches are carefully divided by an electric blue sash. Spoilt for choice, you prefer a bandana that sports all the colours of the rainbow. No sword for you (they‟re too pointy) but you do carry a telescope for spotting faraway lands, and stroking! I originally hail from China but I joined the crew of the Dirty Monkey when my junk sunk. As First Mate, it’s my job to make sure all of the other “dirty monkeys” follow the Captain’s orders! I pride myself on keeping everything shipshape – that is, until the Dirty Monkey sunk as well. Since the shipwreck, I’ve made myself useful decorating the island.